Help the Friars Defend Life! 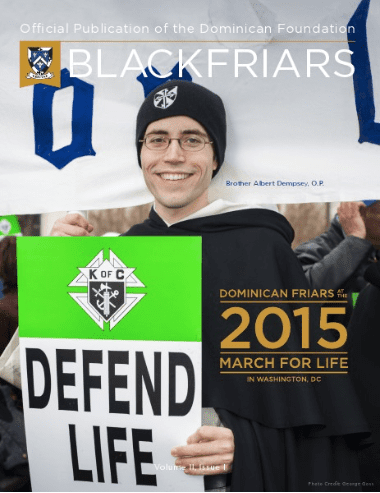 The Dominican Friars are a potent force for advancing the culture of life in America. We are happy to report that a group of anonymous benefactors with a special appreciation for our Pro-Life ministries and who see the value of continuing to challenge others to get involved have once again generously pledged to double your gift-and all gifts- for our formation program up to $250,000. Please learn more by reading our newsletter below. Thank you for your support!